Imagine getting together with your neighbours to design a network of cycle paths that would improve everyday life in your city – sounds good doesn’t it? Or imagine the simple fact of being kept informed of plans for a new motorway near your home. Or what if your water supply became unsafe to drink due to pesticides used for farming – wouldn’t you want to be sure that appropriate action was taken to put things right? Our environment is changing all the time as the ways we live, travel, produce and consume goods evolve. This ranges from the construction of new housing and transport infrastructure to waste and water treatment plants, and from shifting technologies in energy and industry to more intensive forms of agriculture to meet societies’ needs. All of these changes and developments have an impact on our natural environment. If planned well, and in cooperation with the people that may be affected by them, developments like these can make our lives, and the lives of future generations, better. Sometimes though, development can lead to serious environmental problems and irreversible degradation. This can put people’s health, safety and quality of life at serious risk. 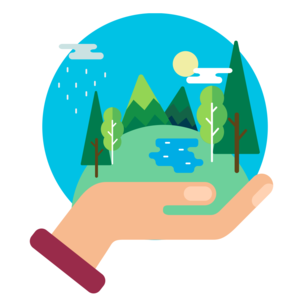 Having a say in how your environment changes – from being involved in decisions at local level to being made aware of potential environmental risks and, in the event of a problem, being able to find a just solution – might seem natural, but should not be taken for granted. Today, these are considered important human rights, and, fortunately, there are measures in place to protect them. 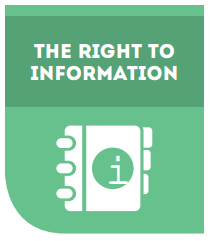 The Aarhus Convention — or to give it its full name — the Convention on Access to Information, Public Participation in Decision-making and Access to Justice in Environmental Matters — is an international agreement hosted by UNECE that does just this. It sets out your rights, and imposes clear rules for governments and public authorities to help ensure that your environment is protected. Specifically, the Convention covers three core areas – the right to information on environmental issues, the right to participate in shaping decisions that affect your environment, and the right to justice if these rights are not respected. Together, these rights make up the idea of “environmental democracy”, and place environmental rights and responsibilities in the hands of each and every one of us. Have you ever wondered about the outcomes of all those big global conferences on the environment? Well, the Declaration made at the 1992 Rio Earth Summit – which still guides efforts to protect the environment to this day – set out the principles of environmental democracy to which the Aarhus Convention responds. 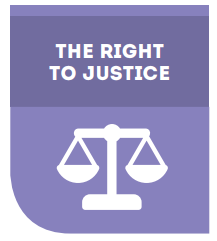 Over a quarter of a century later, the Aarhus Convention remains the only legally-binding international agreement in existence that puts these principles into action. The Convention makes it easier for governments – both local and national – to involve citizens, non-governmental organizations and other groups in shaping their environment, from the design and planning of new developments to public consultations on how to face the challenges of climate change. The Aarhus Convention also ensures that different voices can be heard in sometimes complex debates on environmental issues, helping individuals, communities and campaign groups to get involved to protect their environment. This can range from a wildlife protection charity challenging a decision to build a wind farm that would kill countless rare sea birds, to an entire community – from groups of residents to schools – coming together to put a stop to plans for the construction of a giant waste incinerator on nearby public land. The Convention also protects whistle-blowers and environmental activists by ensuring that persons exercising their rights under the Convention shall not be penalized, persecuted or harassed. 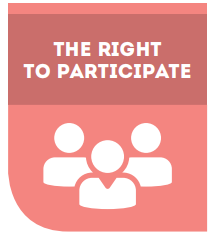 Today, the Aarhus Convention helps to turn environmental democracy into a daily reality for women and men in almost 50 countries across the UNECE region. And as people around the world become more aware and active regarding environmental issues, the successes of the Convention are also inspiring other regions, with growing interest in adapting the Aarhus model to the Latin American and Caribbean context in particular. So, next time you step outside, think about the environment that surrounds you, and remember that it is your environment. That doesn’t mean it can’t change, but that with help from the Aarhus Convention, you have an active role to play in deciding if and how it changes – for the benefit of present and future generations.